When you were a kid, did you try to stay up late at night to catch Santa in your house? Millions of children have tried to catch the jolly old elf, but somehow his magic only seems to work when you’re asleep. But with today’s high technology, you’d think there would be a way to catch him at work. And, indeed, now there is. You can get video proof of Santa’s visit to your very own house to show your kids. It’s easy. Just set up your video camera in the room where you want to catch St. Nick, send your kids off to bed…. and then sneak to the computer for a little Christmas magic at TheSantaVideo.com. The Santa Video makes it easy for anyone to get a video of Santa in your house. All you need to do is upload a photo (not a video) of your living room, family room, or wherever Santa leaves presents in your home. Then select from one of 5 video clips of Santa at work. 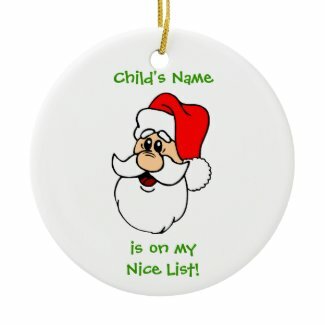 You’ll see him walk into your home, put down his bag of gifts and even enjoy some milk and cookies while he’s visiting. Once you choose the Santa video you prefer and indicate which of the songs (if any) you want to add as background music, you’ll be able to see a preview of your video showing Santa at work in your house. It’s so believable you might find yourself believing in Santa again, too! The whole process of creating your video will take less than 5 minutes. And your kids will be amazed! Catching Santa has never been easier.